"Yogasana is the brand-name of a series of products that are helpful in the practice of yoga and (we hope) contribute towards one's well being. We have been making cotton rugs in India for the past 15 years. We used our expertise in cotton to make a rug that's dedicated to the practice of yoga. Our hand-loomed rugs are extremely strong. We warranty them for 15 years but you can expect them to last a lifetime. The rugs are hand-make on manual looms in an area of India that was the birthplace of yoga. The idea of a cotton mat for yoga is not new... but dates back to the origin of the practice. 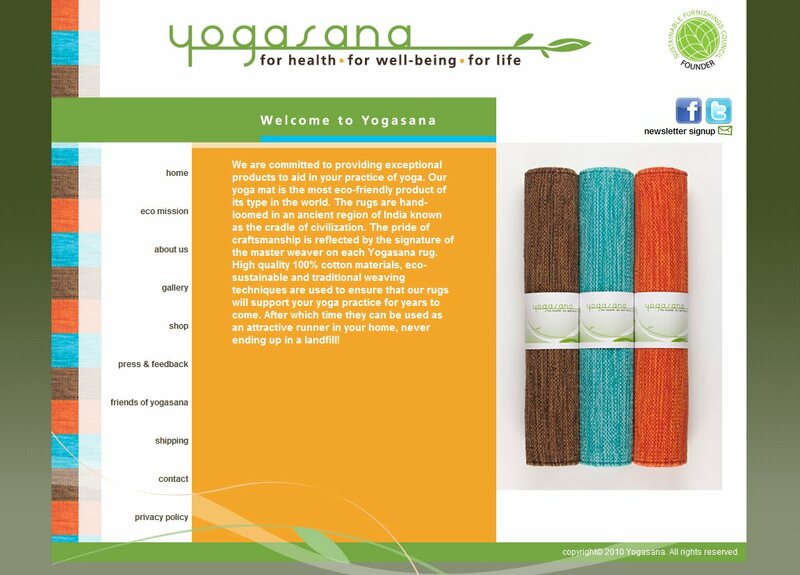 We hope that our Yogasana rug will support your yoga practice and we would enjoy your sharing the results with us."